Los Gatos, Campbell, and Saratoga meet near the intersection of Quito Road and Pollard Road in the far northwest end of LG. People driving through for the first time are often confused about what city is where. To complicate matters, some areas belong to one municipality but have the mailing address, or postal label, of another. 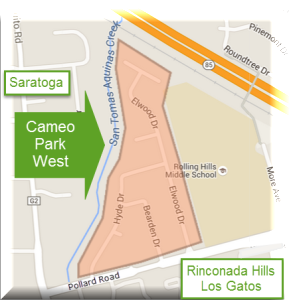 Such is the case with Cameo Park West, a lovely residential pocket of Campbell which is a bit of an outpost for that city and hence has a Los Gatos mailing address to make it simpler for letter carriers. The schools, of course, are not impacted either way since they have nothing to do with the city or town boundaries. This popular neighborhood, which has claims of some sort to both areas is well built and well kept. For Los Gatans commuting to Cupertino or Sunnyvale, homes in west Los Gatos and nearby offer a shorter commute than from downtown LG or east Los Gatos. What are homes like in Cameo Park West? The houses found along Elwood Drive, Hyde Drive, Hyde Court, Bearden Drive, and Pollard Court were built mostly in 1966 and 1967 by a well respected, San Francisco Bay Area builder of houses, Leep Homes. There were many extras that went into homes built by Leep, among them copper plumbing (well before that was typical), two way fireplaces, front porches, formal entry halls, step down living rooms, central forced air heat, wood shake roofs (originally, now most are composition shingle) and beautiful hardwood floors. 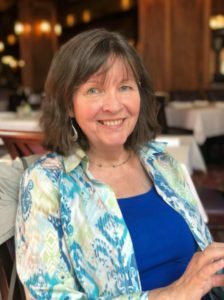 This builder was active in Santa Clara County and we see Leep subdivisions throughout San Jose, Los Gatos, Campbell and many other places within Silicon Valley. Cameo Park West homes range in size from 1380 square feet to 2620 square feet and sit on lots as small as 6000 SF to as big as 12,600 SF. Most lots are around 8000 SF and a typical house might be about 1800 SF with 3-4 bedrooms and 2 bathrooms. Most of the homes in this area are single story but a few are two stories. Most houses are “interior” to the neighborhood, but some are close to or face Pollard Road, others are next to the freeway (and with it, the high voltage power lines & towers and also the train tracks) or the school or the creek. Many would prefer a creekside setting or a school as a back neighbor, but not everyone shares that feeling. 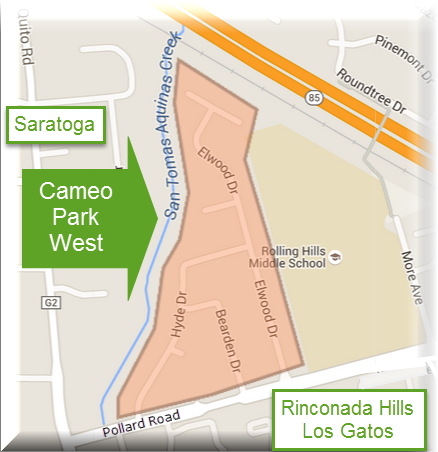 How expensive is Cameo Park West real estate?